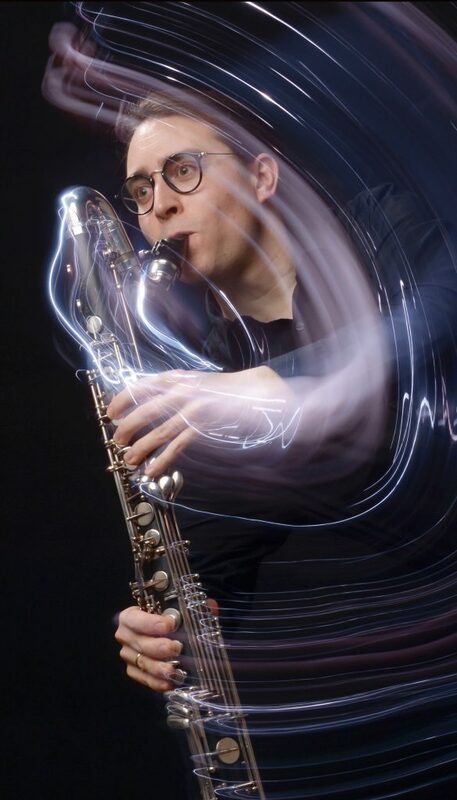 Felix Behringer is a versatile German clarinetist who specializes in performing contemporary music. He received his first clarinet lessons at the age of eight, and he was admitted to the clarinet class of Prof. Matthias Müller at the Zürich University of the Arts when he was still in high school. Behringer won several first prizes in the German Young Musician Competition (Jugend Musiziert), and in 2007 he won the Concours Nationale d’Exécution Musicale in Riddes, Switzerland. In 2009, Behringer earned his Bachelor of Arts degree with Distinction as well as the Sponsorship Award of the President of the Zürich University of the Arts for the Best Project in the Classical Division. While in Zürich, Behringer developed his interest in contemporary music, leading him to pursue a Master of Music degree in Contemporary Performance the Manhattan School of Music in New York with the support of a Gerd-Bucerius Scholarship of Deutsche Stiftung Musikleben. In New York, he studied under clarinetists Prof. David Krakauer and Prof. Charles Neidich. Following his Master degree, Behringer won the position of clarinetist of the renowned International Ensemble Modern Academy in Frankfurt/Main (Germany) during the season 2011/12. Through studies in the Master Classes of Charles Neidich, Sabine Meyer, Reiner Wehle, Karl Leister, Hans Klaus and Ernesto Molinari, Behringer broadened his interpretative abilities. Foundations, such as the Deutsche Stiftung Musikleben, Volksbank-Hochrhein Stiftung, and the Marguerite Meister Stiftung have recognized Behringer’s talent and given him financial support. A major part in his musical work is the collaboration with composers and premiering new works. Behringer has performed world premieres of pieces in Europe, the USA and Hong Kong, and he already has a substantial number of new works composed especially for him or his experimental duo NOISE-BRIDGE with soprano Christie Finn. Behringer has worked with composers such as Jörg Widmann, Heinz Holliger, Helmut Lachenmann, Matthias Pintscher, Thomas Adès and Luca Francesconi and he has performed at festivals such as the Klangspuren in Tyrol (Austria), the Summer Courses for New Music in Darmstadt (Germany), the Aldeburgh Music Festival and the Huddersfield Contemporary Music Festival in the UK (with Ensemble Modern), as well as the festival Manifeste at the IRCAM in Paris (France). He has been invited to substitute with the Ensemble Modern, the Basel Sinfonietta and Ensemble Garage (Cologne). Behringer’s personal interest in renewing the form of “the concert” amongst others by having an interdisciplinary exchange between different arts in a concert setting has been received positively. Since October 2012 Behringer is an active freelance musician based in Stuttgart.